90s kids will definitely remember Tamagotchis, those virtual pets that lived in a small egg-shaped toy. This year marks the 20th anniversary of Tamagotchis after its US release in 1997, and they became one of the most popular toys of the 90s and 2000s. To celebrate its anniversary, Bandai Namco recently released a smaller version of the Tamagotchi and created a mobile app version of the toy which will be released some time in 2018. 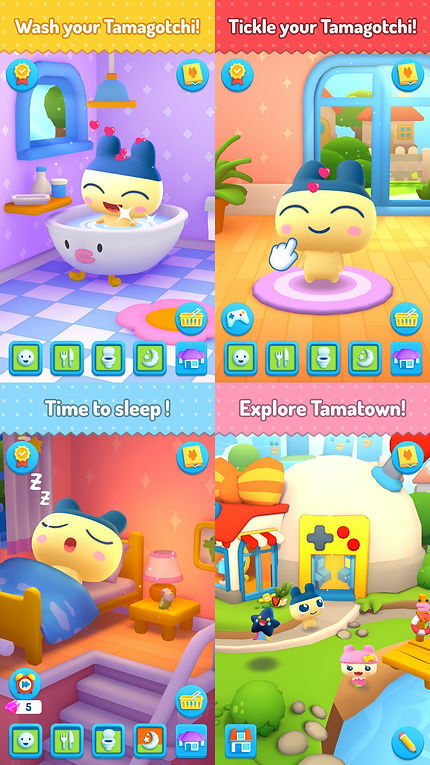 The ‘My Tamagotchi Forever’ app is like a modernized version of the Tamagotchi toy. You’ll reunite with all of your favorite characters but they won’t look like their typical black and white, pixelated forms. Everything is vibrant and colorful. The characters aren’t 2D anymore but in 3D form that makes them cuter than before. In the app you can still interact the same way as you do with your pets on the classic Tamagotchi. You can give your pet a bath, feed them and put them to bed. What’s great is that there’s an arcade where you can play games when you don’t feel like playing with your pet and you can even make new friends while you explore Tamatown. Bandai Namco is even giving fans the chance to create their own Tamagotchi character. All you have to do is register on their website and they’ll randomly pick a fan. The fan will then work with Bandai to create their character which will be added to the app for everyone to play with. I got my own Tamagotchi in 2005 when they released Version 2 and it quickly became my favorite toy. I’m excited for the release of ‘My Tamagotchi Forever’ so I can relive my childhood! The official release of ‘My Tamagotchi Forever’ will come in 2018, so keep an eye out!